What is a Cochlear Implant System? Is Your Child a Candidate? Advanced Bionics offers a full line of high-performance products and accessories that allow you to customize your HiResolution™ Bionic Ear System to best meet your hearing and lifestyle needs. Choose from industry-leading sound processing innovations and Phonak Binaural VoiceStream Technology™ for better hearing in challenging settings and situations, accessories that connect you to the latest wireless technology, rechargeable or disposable power options, and a wide array of designs and colors for styling, highlighting, or concealing your processor. AB’s Naída CI Q Series (Naída CI) sound processors are the newest, most-advanced behind-the-ear sound processors in the world. They features a chic, lightweight design; exclusive AB and Phonak innovations, including Binaural VoiceStream Technology™; and fashionable colours for high-performance hearing that is always instyle™. HiRes™ Optima Sound Processing: Designed for optimised performance with better battery life. HiRes Fidelity 120™*: Delivers five times more sound resolution than the competition, so you hear more details in speech, music, and more. AutoSound™ OS Technology: Intelligently analyses and automatically adapts to the sound around you, so you hear your best wherever you go without having to change programs or adjust settings. ClearVoice™ Speech Enhancement Technology: AB sound processing strategy that automatically separates distracting noise form the speech signal. Clinically proven to help you hear significantly better in noise. UltraZoom Feature: An automatic feature in the Naída CI Q90 sound processor, UltraZoom is an adaptive, multi-channel, dual-microphone beamformer that focuses on sound form a speaker in front of you for improved speech understanding in noisy settings. StereoZoom Feature: Extracts a single voice from a noisy crowd so you can engage in a one-on-one conversation with less effort. ZoomControl: Focuses on a speaker to your front-back or right-left for improved hearing in places such as restaurants or cars. DuoPhone: Automatically streams your phone calls to both ears simultaneously for stereo hearing and easier conversations in noise. QuickSync: Easy, instant, simultaneous adjustments to volume and program settings on both sound processors for bilateral recipients. HiRes 90K™ Advantage Implant Family: AB’s HiRes 90K Advantage implant family features the most advanced sound processing available, unsurpassed programming flexibility, and outstanding durability for the world’s best hearing performance. 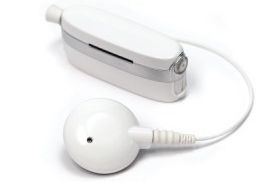 CII Implant: CII recipients can get the Naída CI sound processors. Universal Headpiece (UHP): Low-profile headpiece with an integrated microphone designed for everyday use, with interchangeable colour caps and cables to meet each recipient’s needs. AquaMic™ Headpiece: World’s only waterproof headpiece microphone for uncovered hearing in, under, and around water. Naída CI processor recipients can use the AquaCase™ enclosure with the AquaMic headpiece for complete protection from water, dust, dirt, sweat, mud, rain, and snow. Powered by one eco-friendly rechargeable lithium-ion PowerCel™ 110, 170, or 230 battery or the smaller PowerCel 110 Mini or 170 Mini battery. Also powered by two disposable Zinc-Air batteries. Including a USB connection for portability and flexibility, the Naída CI PowerCel Charger keeps four PowerCel batteries fully charged and you connected to the world of sound. Roger™ System enables you to hear speech in loud noise and over distance by transmitting sound from a microphone directly to the design-integrated Roger™ 17 receiver attached to your Naída CI processor. Roger™ Pen streams a speaker’s voice or multiple speakers’ voices to the Roger 17 receiver and can also be used for mobile phone calls or for listening to the TV and multimedia players. Roger™ Clip-On Mic is a discreet wireless microphone that can be used by a communication partner to stream their voice to the Roger 17 receiver, facilitating one-on-one communication in loud noise and over distance. ComPilot accessory wirelessly streams phone calls, music, TV shows, FM and endless other media simultaneously to a compatible Phonak hearing aid and Naída CI sound processor or two sound processors for in sync hearing. DuoPhone feature wirelessly streams the caller’s voice directly to both implanted ears for hearing in stereo and easier phone conversations. TVLink II accessory wirelessly streams high-quality audio to both Naída CI sound processors or a Phonak hearing aid for improved hearing while watching TV. Phonak DECT Phone looks and works like a regular cordless phone, but also transmits sound simultaneously to both your Naída CI processors (or a processor and compatible hearing aid), while reducing noise to maximise understanding on the phone. Phonak EasyCall accessory attaches to any brand of Bluetooth-enabled mobile phone or smart phone and streams calls to both your Naída CI processors (or a processor and compatible hearing aid) for great sound quality and speech understanding. RemoteMic wirelessly streams speech directly to one or both ears for improved conversations in noise. Naída CI sound processors come in a variety of fashionable and subdued colours for showing off your processor or helping it to blend in with your hair or skin. Headpiece covers come in a wide assortment of modern colours. Featuring the industry’s only featherlite instyle™ design, Naída CI processors are slim and trim for barely noticeable on-ear and off-ear wearing. With a variety of wearing accessories to choose from, Naída CI processors can be worn all on the ear, partially on the ear, or with nothing-on-the-ear to best accommodate your or your child’s lifestyle and comfort. The Naída CI Listening Check accessory allows you to easily check all of the Naída CI processor microphones. Audio listening checks and one-touch changes to programs, volume, and sensitivity settings can be performed with the AB myPilot accessory. Neptune™ is the first and only SWIMMABLE sound processor in the world with the revolutionary freestyle™ design for the most flexible wearing styles ever—from Advanced Bionics, the global leader in cochlear implant technology. HiRes Fidelity 120™: Delivers five times more sound resolution than the competition, so you hear more details in speech, music, and more. AutoSound™: Adapts dynamically to changing environments and automatically adjusts the volume levels for listeners. ClearVoice™: Automatically analyses and adapts to every listening situation you or your child encounter, separating speech from surrounding noise. Additional sound processing strategies are also compatible, including HiRes, CIS, and MPS. HiRes 90K™ Implant Family: AB’s HiRes 90K implant family features the most advanced sound processing available and unsurpassed programming flexibility for the world’s best hearing performance. CII Bionic Ear Implant: Recipients of AB’s third-generation of implants can get Neptune, the first and only SWIMMABLE sound processor in the world. Universal Headpiece (UHP): Low-profile headpiece designed for everyday use with interchangeable color caps and cables to meet each recipient’s needs. AquaMic™: World’s only waterproof headpiece for use when swimming, bathing, or showering. Also compatible with the waterproof AquaCase™ enclosure for Naída CI sound processor recipients. Powered by one rechargeable or disposable AAA battery. Battery Charger: Convenient, portable charger to keep your Nickel-metal hydride (NiMH) AAA rechargeable batteries charged. Neptune Connect: Removeable control module that provides access to wireless FM and other battery-powered audio devices. T-Comm™ Accessory: Light-weight, ear-level module allowing T-Mic™ microphone use and a built-in telecoil with Neptune for easy access to mobile phones, FM systems, consumer audio electronics, and more. Caps & Covers: A wide assortment of modern colours. Skinit® Designs: Dress up or help conceal your system with one of thousands of designs. Neptune Clip: Allows Neptune to be worn wherever you like- in your hair, on your collar, in your pocket. Neptune Pouch: Available in different sizes and colors, the pouch allows for multiple wearing options. May be attached to a lanyard, armband, harness, or belt. Lanyard: Great for shower use, the lanyard allows Neptune to be worn around your neck in the front of your body. Headband: Attach your clip or pouch to wear Neptune on your head. Also, helps keep your headpiece in place while allowing sound to pass through to your microphone. Harness: Designed for pediatric use, the harness holds one or two Neptune processors which may be worn in multiple locations. Swim Cap: Wear over your AquaMic and Neptune processor for use while swimming. Made of LYCRA® brand fabric, the swim cap is comfortable to wear and allows sound to pass through to the AquaMic microphone. Listening Check™ Earbuds: Along with the Neptune Connect module, this tool enables parents and teachers to monitor and troubleshoot the audio input of the headpiece microphone and FM. Neptune Connect Wallet: Compact wallet allows you to store your Neptune Connect when not in use as well as a spare AAA battery or headpiece cable. Attaches to your keychain, backpack, briefcase, or handbag. A variety of storage, travel, and instructional/educational accessories are also available for use with the Neptune processor. AB’s Harmony™ behind-the-ear processor offers sophisticated, performance-driven technology and features to bring you or your child clearer, higher-resolution hearing in everyday environments such as noisy classrooms, bustling restaurants, and busy offices. HiRes™ Optima Sound Processing*: Designed for optimized performance with better battery life. ClearVoice™*: Automatically analyzes and adapts to every listening situation you or your child encounter, separating speech from surrounding noise. Additional sound processing strategies are also compatible, including HiRes, CIS, MPS and SAS. 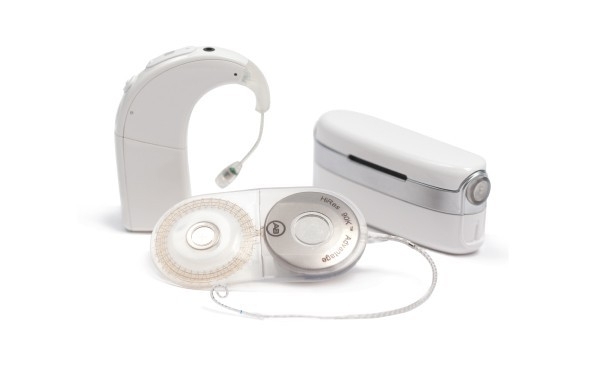 CII Bionic Ear Implant: Recipients of AB’s third-generation of implants can get Harmony, AB’s most sophisticated sound processing system designed to deliver the best hearing experience possible. Clarion 1.0 and Clarion 1.2 Implants: AB’s first generation recipients with C1.0 and C1.2 implants can also now get Harmony, AB’s most sophisticated sound processing system designed to deliver the best hearing experience possible. Universal Headpiece (UHP): Low-profile headpiece designed for everyday use with interchangeable colour caps and cables to meet each user’s needs. HiRes 90K Headpiece: Designed for a light and comfortable fit and is curved on the underside for better retention with HiRes 90K implants. Auria Headpiece: Designed with a flat underside for better retention with C1 and CII implants. Platinum Headpiece (PHP): For those who want to mix and match headpiece styles, prefer to have a backup on hand, or have unique retention needs. PowerCel Slim: A sleek and discreet rechargeable battery that can be recharged hundreds of times before it needs to be replaced. PowerCel Plus: Long-lasting rechargeable battery that offers extended operating time. PowerCel Charger & Accessories: Charger, adapters, and accessories to keep your PowerCel batteries charged and you or your child hearing. Off-the-Ear Power Options: Adapters and cables that allow for PowerCel batteries to be worn on clothing instead of on the ear for improved comfort. T-Mic™: An in-the-ear microphone for hearing in noisy environments and gaining effortless access to mobile phones, consumer audio electronics, and more. iConnect Adapter™: Provides cable-free access to the most advanced Phonak FM receivers commonly used in schools. Direct Connect™ Earhook: Provides access to a variety of assistive-listening devices via a detachable cable with a 3.5 mm stereo socket. Standard Earhook: Serves to hold the processor on the ear if you utilize the built-in microphone on your processor. T-Coil: Provides wireless connectivity to induction-loop systems and compatible phones. Caps & Covers: A wide assortment of modern colors. Kinder Clip: Allows the Harmony processor to be worn completely off-the-ear. Snuggie™: Provides a secure fit of the processor to the ear. Bionic Buddy Critter Clip: Fun and decorative retention tool that provides added security for a child’s processor. If the processor falls off the ear, it won’t go far. Listening Check™: Allows parents and teachers to easily verify that a child’s Harmony microphone, T-Mic and FM receiver are working properly. A variety of storage, travel, and instructional/educational accessories are also available for use with the Harmony processor. 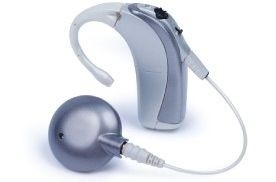 Thank you for contacting us to assist with your hearing solutions. Count on us—to help you Hear and Be Heard™. A representative from Advanced Bionics will be in touch soon! If your request needs immediate attention or you have additional questions, please contact info.uk@AdvancedBionics.com. What is the Bionic Ear Association?